While much of what has come out over the course of the trial of suspended senator Mike Duffy over the last nine days lies outside the bounds of parliamentary inquiry, there are at least a few avenues that the opposition parties will likely attempt to pursue as the House reopens for business today. For the last two weeks, the trial of suspended Senator Mike Duffy has been the only federal political show in town. But as of today, the House of Commons is back in session — as is, of course, the daily feet-to-the-fire ritual that is question period. Senator's cousin paid $500 to do media monitoring in P.E.I. As regular trial followers will doubtless recall, lead Crown prosecutor Mark Holmes devoted a good chunk of his opening statement — and his questioning of retired Senate law clerk Mark Audcent — to outlining his belief that the suspended senator for Prince Edward Island never met the criteria to represent Canada's smallest province in the Upper Chamber. Specifically, Holmes argued Duffy fell short of the constitutional requirement that a senator "shall be resident" of the province he or she represents. And although that particular assertion isn't one that must to be proven in order for Duffy to be convicted of any of the charges that confront him, it still provides raw material for what could be a particularly awkward line of inquiry put to Prime Minister Stephen Harper this week: namely, what vetting was performed on Duffy and other potential nominees during the coalition-induced chaos that triggered Harper's move to add 18 Conservative senators in late 2008. Recommending the appointment of senators is, after all, currently the sole responsibility of the prime minister, which would seem to give the opposition parties sufficient grounds to probe for details on what, if any, due diligence he exercised before putting Duffy's name forward. Just two weeks into the trial, the prosecution has yet to delve deeply into the details of more than a dozen of Duffy's expense claims they intend to argue were for travel related to personal and partisan business — and, as such, should not have been billed to the taxpayer. But in the course of laying out its case related to Duffy's contracts with Gerald Donohue — who was paid more than $60,000 out of Duffy's research budget between 2009 and 2012 — the Crown did expose one expense claim that involved the prime minister himself: that $300 bill from veteran Ottawa-area makeup artist Jacqueline Lambert. 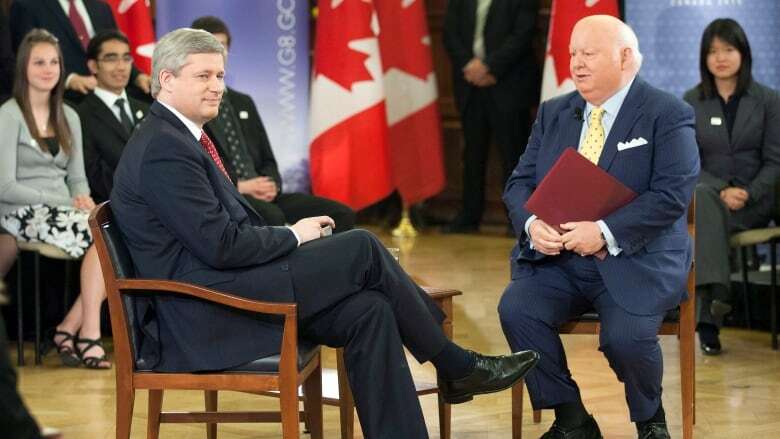 In her testimony last week, Lambert confirmed that, in May 2010, she ensured both Harper and Duffy were camera-ready before the pair embarked on an hour-long Q&A session with youth delegates at the G20 summit in Toronto. On the face of it, there was nothing particularly scandalous in this admission — prime ministers do, after all, require the occasional pre-TV nose-powdering, just like anyone else. But just a few days earlier, the Prime Minister's Office — or, at least, an unnamed official — had offered vigorous denials when asked if Harper had unwittingly benefited from makeup services for which the taxpayer picked up the tab. Since then, similarly unnamed PMO sources have backed away from the initially categorical statement, but maintain that neither the PM, nor anyone in his office, had any idea the invoice would ultimately have been covered by public money, in the form of a cheque from a corporate entity connected to Donohue. Still, opposition parties will likely find it difficult to resist the urge to bring it up in the House to remind Canadians that, at one time, the prime minister was only too happy to pose for photos — several of which the defence has submitted as evidence — alongside the Ol' Duff. This final area of inquiry will almost certainly be the exclusive interrogatory jurisdiction of the New Democrats, who have never wavered from their decades-long campaign to close down the Red Chamber for good. The Conservatives, for their part, have maintained a somewhat sulky silence on the issue since the Supreme Court dismantled every one of the government's proposals for substantive unilateral reform in its response to the 2013 reference question. As a result, the New Democrats have the strongest claim to the abolitionist argument, which can only be bolstered by the loophole-riddled administrative system and lackadaisical oversight explored in such excruciating detail during the opening days of the trial. And while many Conservatives — including, most likely, the prime minister — may secretly share the outrage that will be articulated by the opposition this week, there's little they can say in response, even as the New Democrats ready their ongoing "Roll Up The Red Carpet" to take full advantage of the ensuing public opprobrium on the campaign trail this fall. Mike Duffy trial: Suspended senator's cousin received $500 for media monitoring in P.E.I.